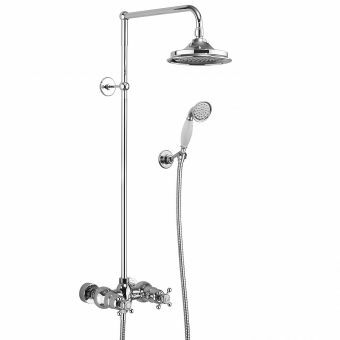 Head Size Select an option 6"	6"	6"	6"	6"	6"	9"	9"	9"	9"	9"	9"	12"	12"	12"	12"	12"	12"
The Exposed Eden shower kit by Burlington Bathrooms has a visible valve which sits proud of the wall, true to Victorian plumbing styles. 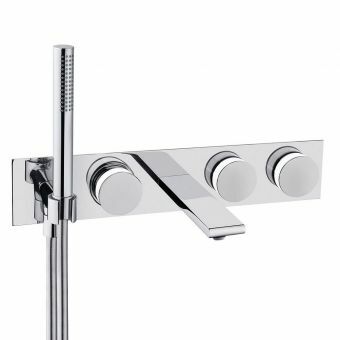 The vertical riser which carries water up to the overhead shower is also exposed, a soap dish can be added to the vertical riser in the product options, adding a decorative yet practical detail to the riser rail. 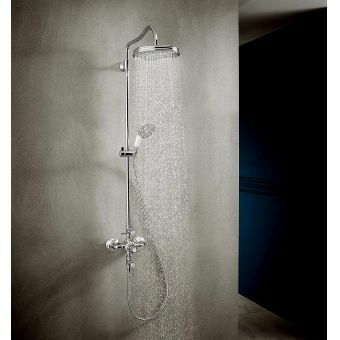 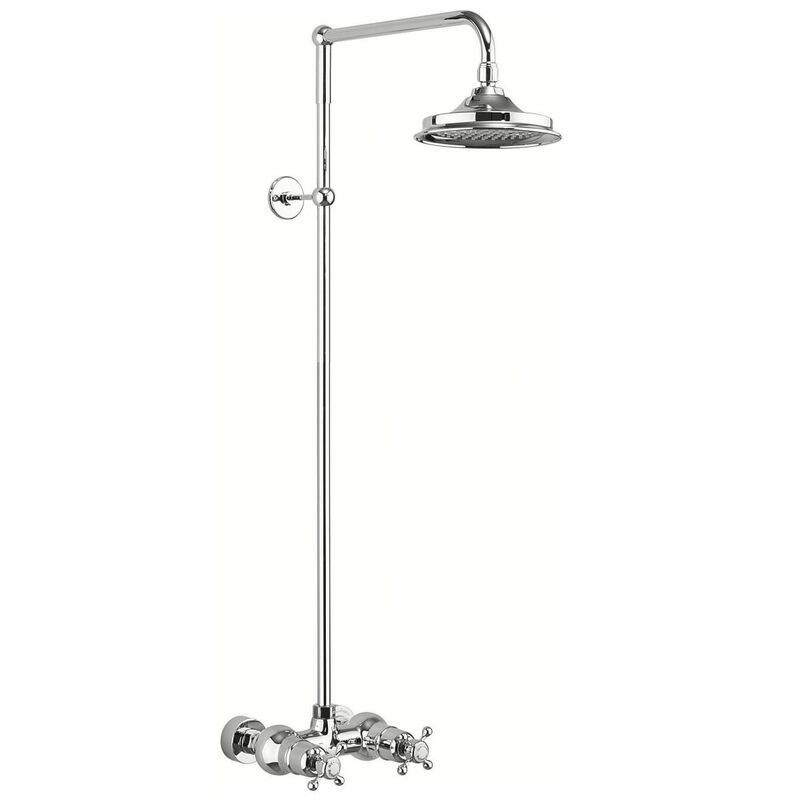 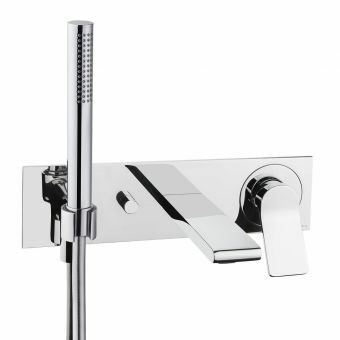 The overhead shower comes with anti limescale nozzles and is available in 3 sizes. 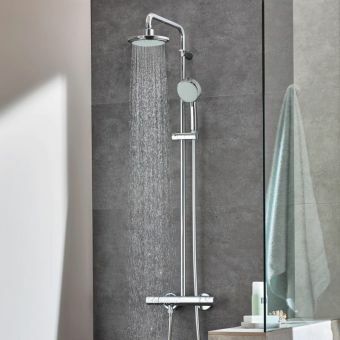 Hot and cold water feed into the back of the 2 connections and are blended to your selection through the thermostatic valve and delivered through the stunning overhead shower, which is sometimes referred to as the shower rose. 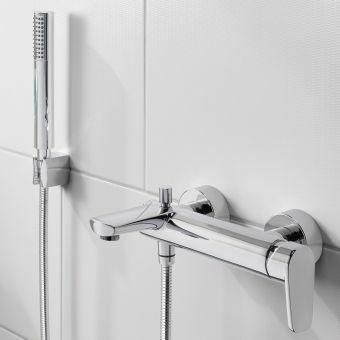 Finished in a thickly plated chrome which is easy to clean, you can selected the colour of the handle indices and the handle shape giving a total of 6 different style to choose from for every traditional style bathroom theme and space. 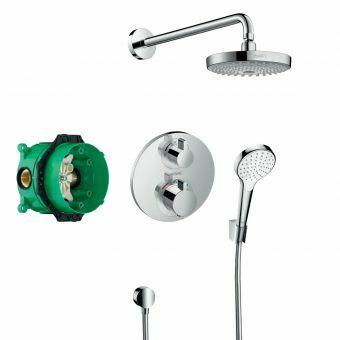 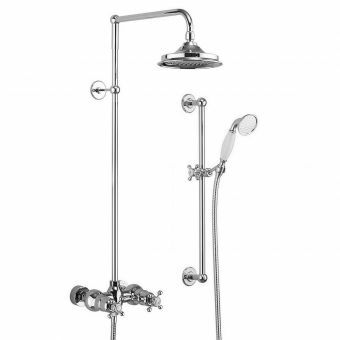 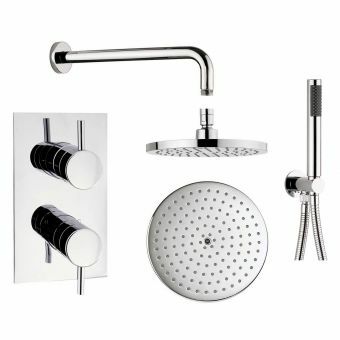 V16 | Burlington Eden Exposed Valve Shower Kit - Head Size 6"
V17 | Burlington Eden Exposed Valve Shower Kit - Head Size 9"
V60 | Burlington Eden Exposed Valve Shower Kit - Head Size 12"